Better together – Hello sweetie! Take a sweet bottle of fizz and some white chocolate for a better together combination. I have a sweet tooth, so this combination of sweet and sweeter is heaven! This very much supports my WSET lesson that dishes high in sugar should be matched with a wine that has at least that much sugar. Why? The two sweet items together balance out the overly sweet taste they have on their own. To drink? I like a bit of fizz and the sweetness of either Asti DOCG and Moscato d’Asti work fabulously with sweet things. Where to buy it? All the major supermarkets have Asti DOCG. I like this one from Waitrose. I am partial to Lindt white chocolate truffles but any white chocolate will do, add a sofa and a rom com and I’m sorted for a night in! Recipe suggestions? 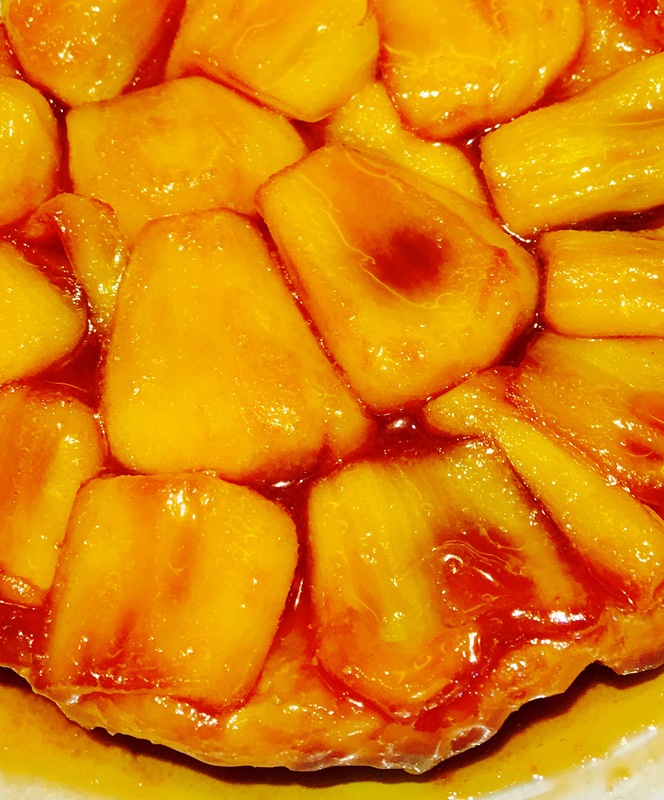 If you fancy cooking, my ripe jackfruit tarte tatin recipe uses sweet jackfruit in a tarte tatin style. Asti DOCG has a lot of the flavour characteristics of the fruit and will go well. Top facts – The Asti method of making sparkling wine is different to others as it doesn’t involve the production of a still dry wine such as the Champagne method, using must and pressurised tanks instead. Main grape varieties are Muscat Blanc a Petits Grains. 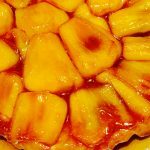 Author ClairePosted on November 9, 2017 February 26, 2018 Tags Asti, better together, food blog, recipe, ripe jackfruit, tarte tatin recipe, white chocolateLeave a comment on Better together – Hello sweetie!